Who’s excited for the weekend? We definitely are, as The Outdoor City's Cliffhanger returns for its third year in the city centre this Friday. It’ll be another weekend packed full of action, celebrating the outdoors and stretching wide across the city. 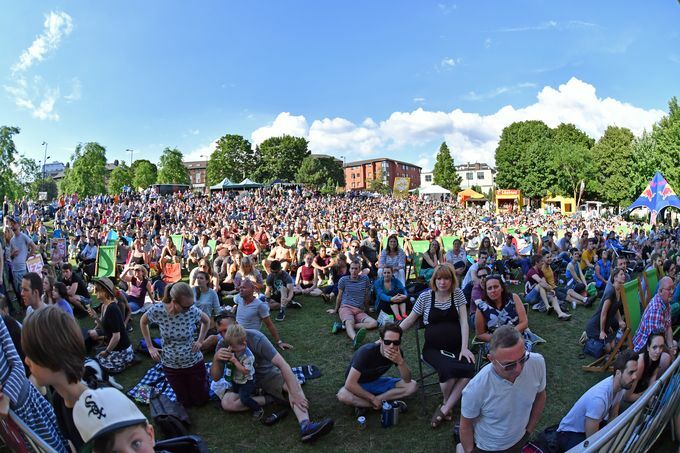 You’ll find stalls, events and activities in the Peace Gardens, Tudor Square, Millennium Square and the Winter Garden from Friday 6 until Sunday 8 July. The weekend of free events (yes, you read correctly) is bound to get you embracing the city that perches on the edge of the Peak District. For the full programme of events and more about what’s on during the day over the three-day festival, head to www.theoutdoorcity.co.uk/cliffhanger/. Kicking everything off on Friday evening from 6pm, you’ll find live music on Devonshire Green from some of the city’s freshest talents (full listings below). There will also be a modest food and drink offering, including stalls from Wet Thi Whistle Bar, Sunshine Pizza Oven, Chunky Churros and the Ice Shack. If you're hungry for more over the weekend, we've put together a handy run-down of all the spots in The Outdoor City that're offering exclusive Cliffhanger deals. Search #CliffhangerAfter5 or click here to find out more! For more details over the weekend, head to the festival’s Facebook event. Be sure to use #Cliffhanger Instagram and Twitter to keep up to date and to share your best posts over the weekend!